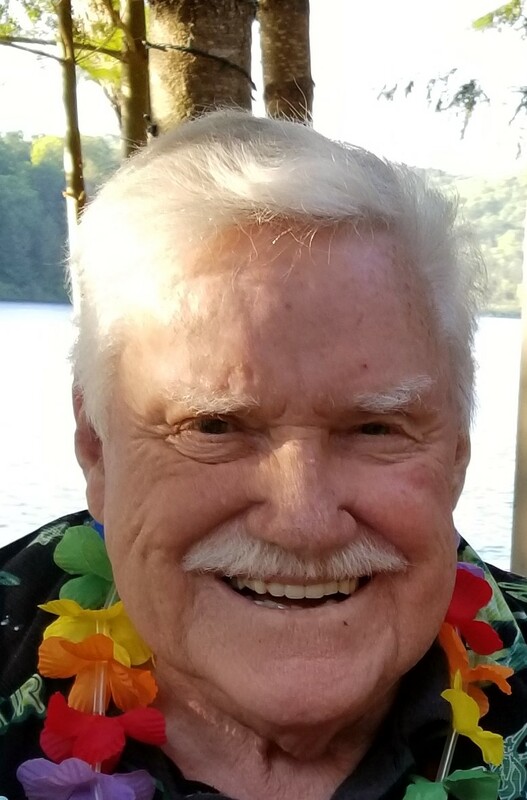 It is with deep sadness that we announce the passing of Wilfred Johnstone “John” Wylie, age 87, who passed away on Wednesday, April 10th 2019 at Royal Victoria Hospital in Barrie ON after complications following a stroke. He passed peacefully surrounded by family and close friends. John was a cancer survivor and fought hard to the end. Born on June 12, 1931 in Toronto to Fredrick and Doris (Williams) Wylie, John and his brother Len grew up on Webb avenue in downtown Toronto. He moved to Kitchener Ontario upon the passing of his mother at age of 12. He moved to Dwight Ontario with his father in 1947 before returning to Toronto to begin his business career with the hardware and industrial supply company Canfast. He spent over 25 years at Canfast and ultimately retired from work in 2005 at the age of 74. He loved working, selling, meeting clients and keeping busy. His hobbies in retirement included wood carving, duck and loon carving, target rifle-shooting, and building “things”. He was always tinkering with something. His marriage to Barbara Hogg in 1957 produced sons John Bradley, Robert William and Charles David. 1965 saw John and his family return to Cooper Lake in Dwight where he built the family cottage just down the road from his father’s residence. Cooper Lake remained a significant cherished retreat for John, ultimately building his retirement home on the very spot where he had helped his father build a guest cabin in the early 1950’s. Both John and his brother Len were veterans of the Royal Canadian Navy and John relished his time in the naval reserve and at the local legion branch in Bracebridge. He was always very active in helping the many sports teams that his sons played on and took an active role as cub scout leader. John will be greatly missed for his gift of epic joke telling. John is survived by sons Brad (Lesley), Bob (Kathy), and David, sister Maureen and honourary son #4 Bobby Forsyth. Gramps will be fondly remembered by grandchildren Devan (Jon), Tom, Mark, Danielle, Shaun and Erin and their mother Cindy. John is also survived by his partner Marilyn Bain of Bracebridge and her family.Sincere thanks to the staff at RVH in Barrie and especially to the kind and dedicated nurses and doctors in the ICU for their care and compassion during his last ten days. Another event will be planned for later in the summer for John’s friends in Bracebridge and Dwight to honour him at his beloved Cooper Lake. My heart is broken, what a terrible loss, Cooper lake will never be the same. So sad for his incredible family,who he loved so very much. I will miss the martinis,the jokes,he would make me laugh till I cried or peed my pants. Our conversations,he knew something about everything. Was always there for everyone. Till we meet again my darling friend. You will be so sadly missed. Your love for your family, life and the North was truly inspirational. You were a remarkable man and your love for family and friends will not be forgotten. Thank you for the laughs, talks, tears, guidance and most importantly your friendship. Although we did not have the privilege to know John, there are Wylie family near and dear to my heart. So I know he must have been a fine man. A life well lived indeed. Sincere condolences, Julie and Gord.